When is a pillow a pet? When it’s a ZooperPet! No it’s not a bad bon bon joke, ZooperPet is the Danish interior design brand responsible for designing these quirky and cute felt Softie Pillows. They’re perfect for kids’ reading nooks and nursing chairs! 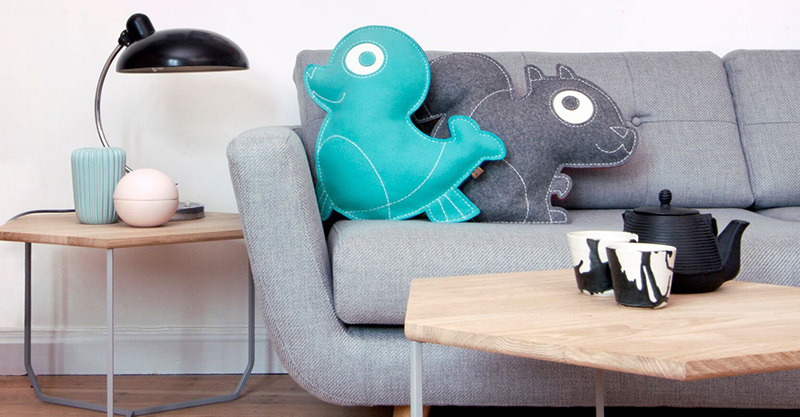 Designed by Danish architect and graphic designer couple Hanne and Tobias Scheel Mikkelsen, ZooperPet Softie Pillows are made using premium grade, thick wool felt, and come in Squirrel, Rhino and Seal designs. A ZooperPet Softie Pillow is quite likely (at risk of pointing out the obvious) the only way any of these animals will actually become your pet, so a wise investment indeed! Each Softie Pillow is made using two colours – a soft, subtle colour on one side and a vibrant colour on the other, so you can change it up depending on your decor mood. Filled with a pure wool filling for softness and decorative top stitching in white completes the look beautifully. To purchase, head to Fauna Scapes Etsy store where all Softie Pillows are priced $58. Shipping to Australia is available.